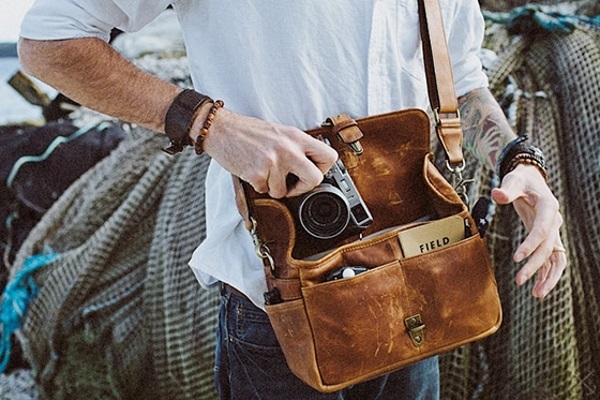 The Bowery bag by ONA was designed to carry your DSLR camera and one lens. There is also room for a few personal effects. Its small size makes it supremely versatile and practical. The inserts can be removed, turning the small bag into a carry-all. Featuring a removable strap, The Bowery is very chic. Choice of two fabrics: canvas, retailing for $129, or leather, for $239. Both are padded to protect your valuable camera equipment. In Swahili, the language spoken in Eastern Africa, ona means “to discover with one’s eyes”. No wonder Ona offers products that adapt so well to the reality of today’s’ photographer!